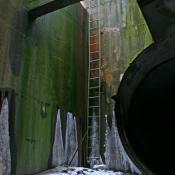 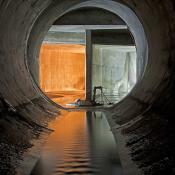 Enormous cut-and-cover RCP (up to 4800mm) as well as sections of single and double rectangular box conduit. 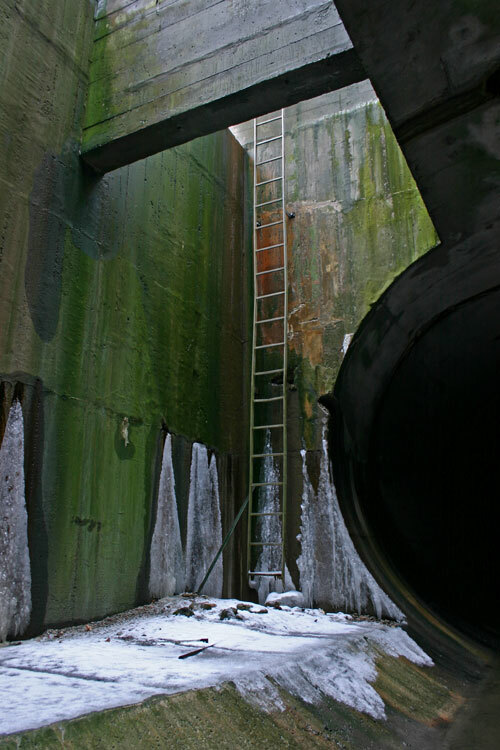 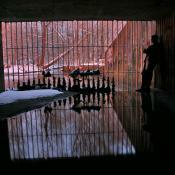 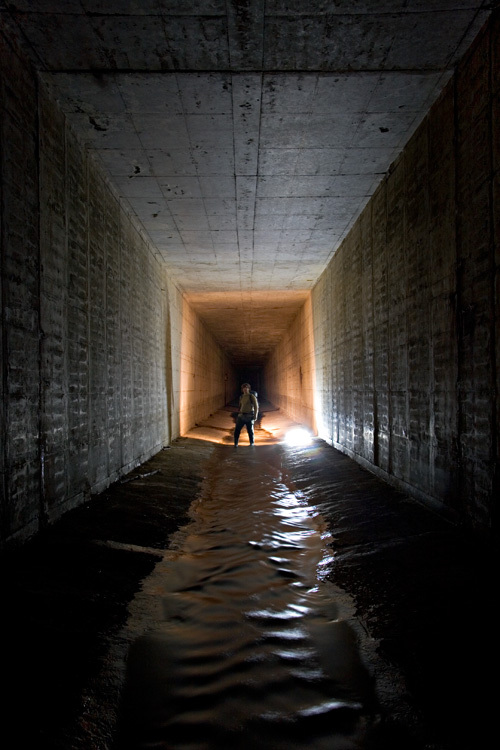 The drain's extensive length is punctuated periodically by large ceiling grilles, which provide drainage for the flood plain above. 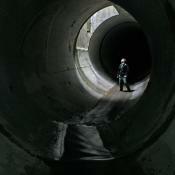 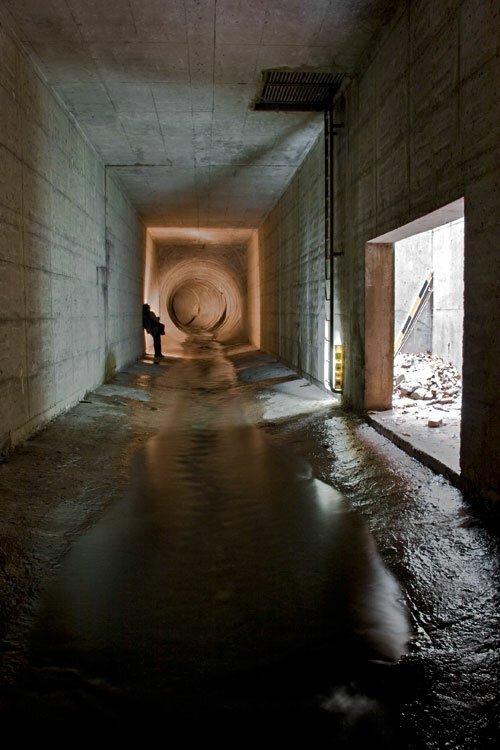 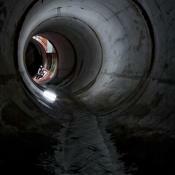 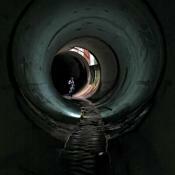 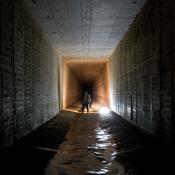 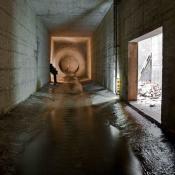 As far as I know, this is the largest storm trunk sewer in Toronto. 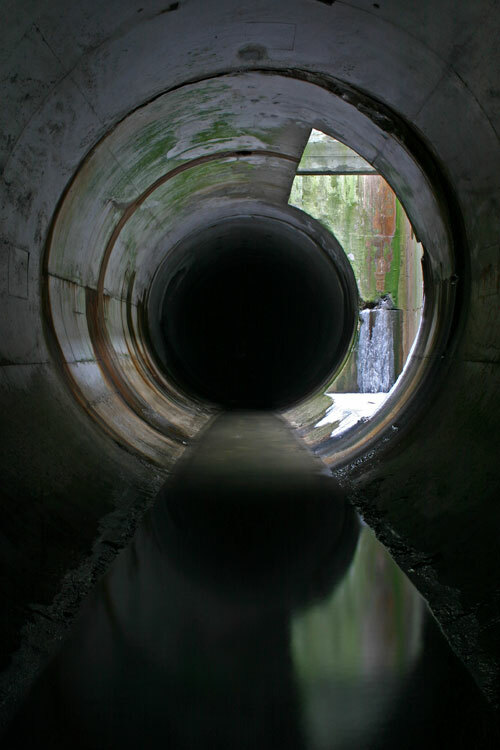 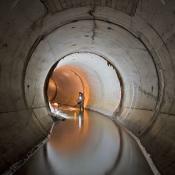 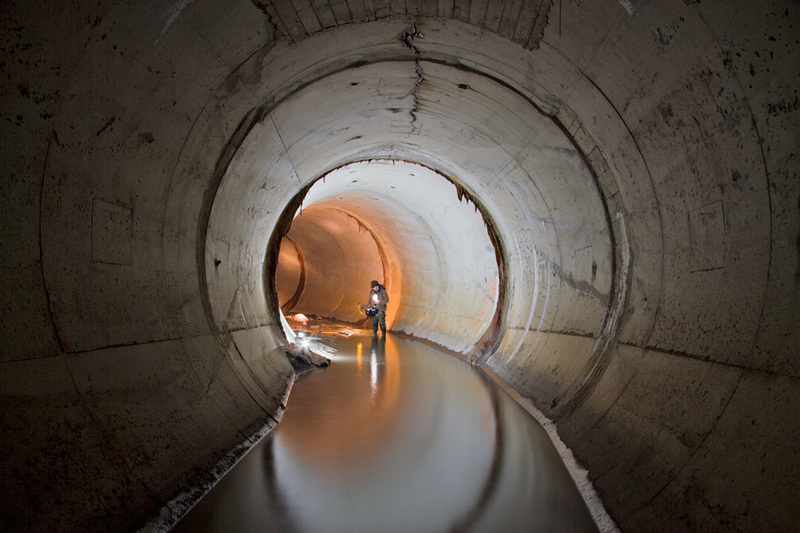 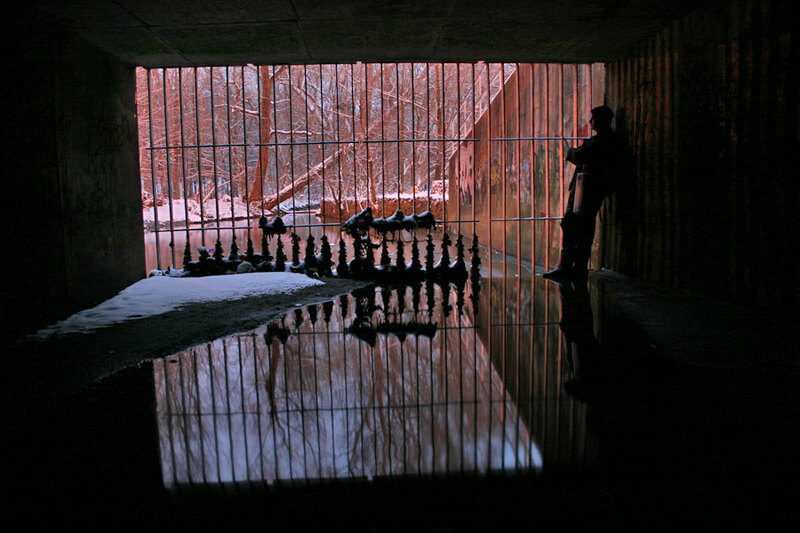 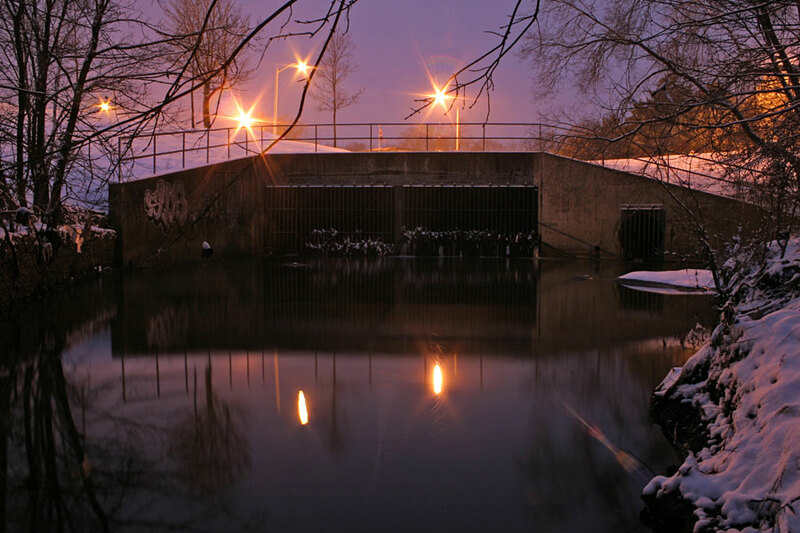 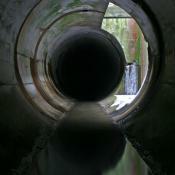 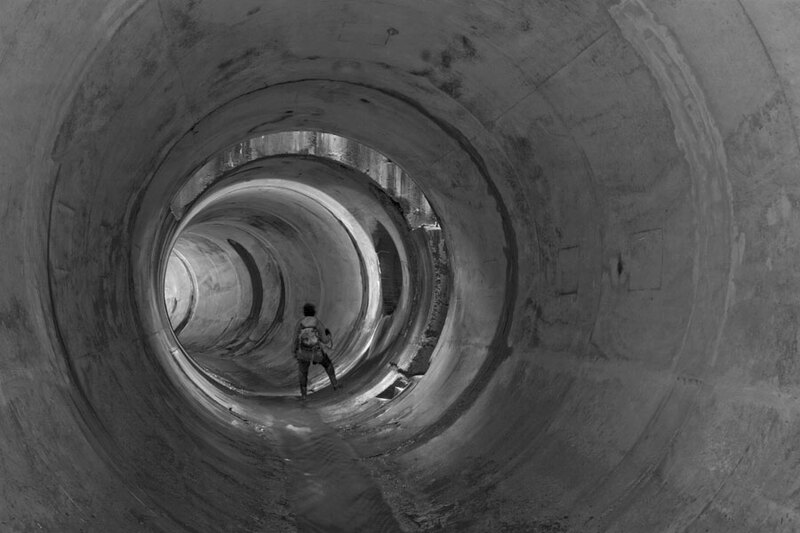 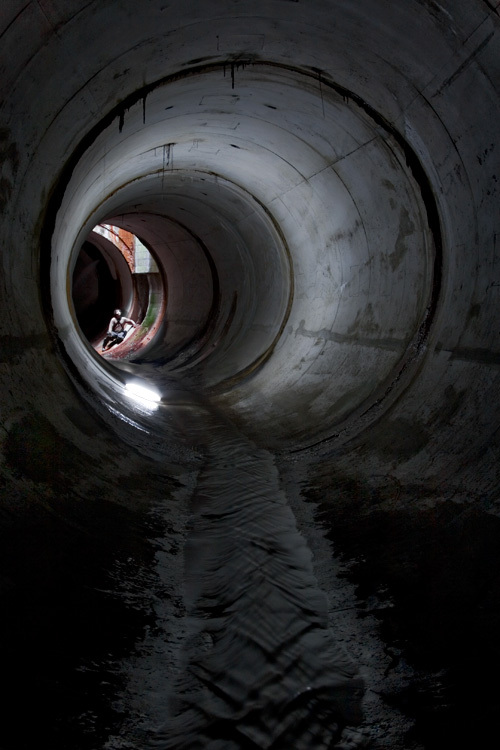 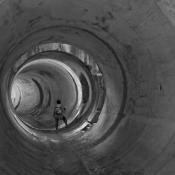 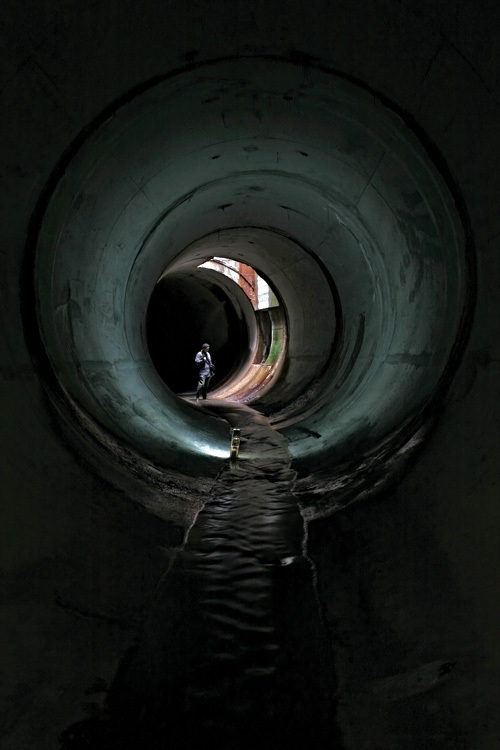 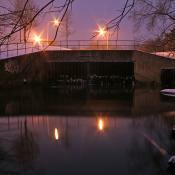 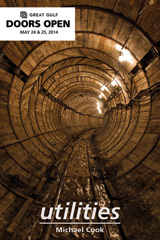 Stretching from north of Finch Avenue to the intersection of Bayview Avenue and York Mills Road, the Wilket Creek Storm Trunk Sewer grows to become a round pipe more than 4m in diameter, and then splits into a pair of rectangular concrete ducts of similar dimensions. 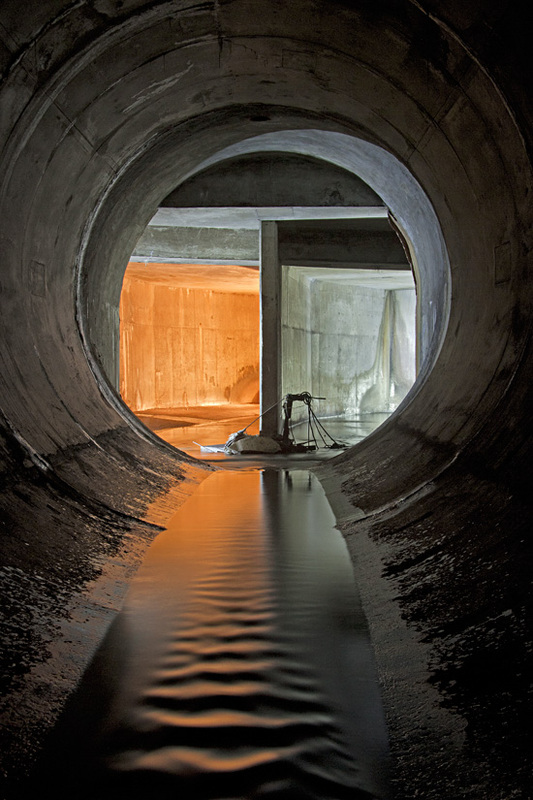 This size is punctuated by a series of minimalist chambers where ceiling grilles cast light into the drain's enormous spaces and allow water to drain from the flood plain above it.